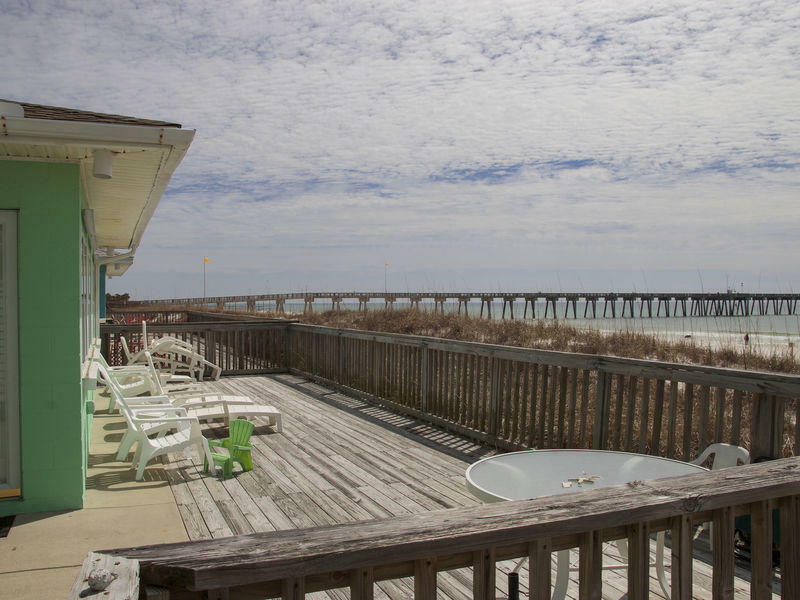 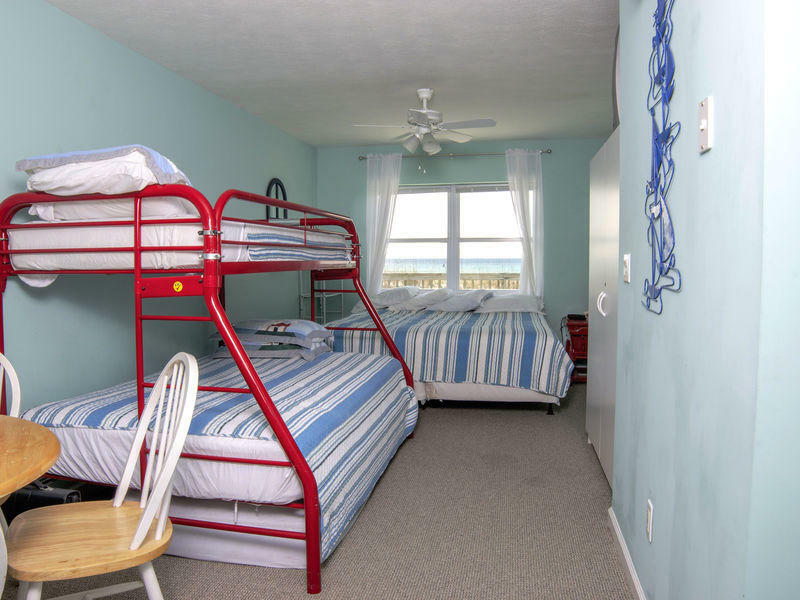 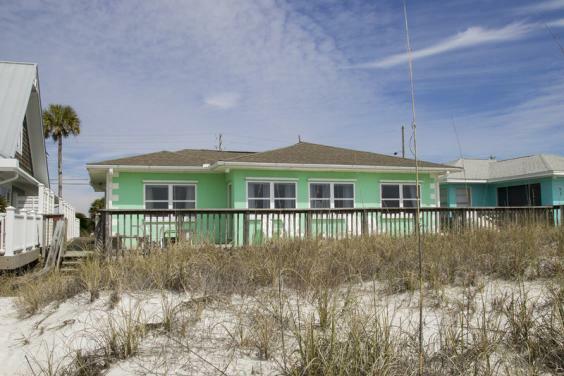 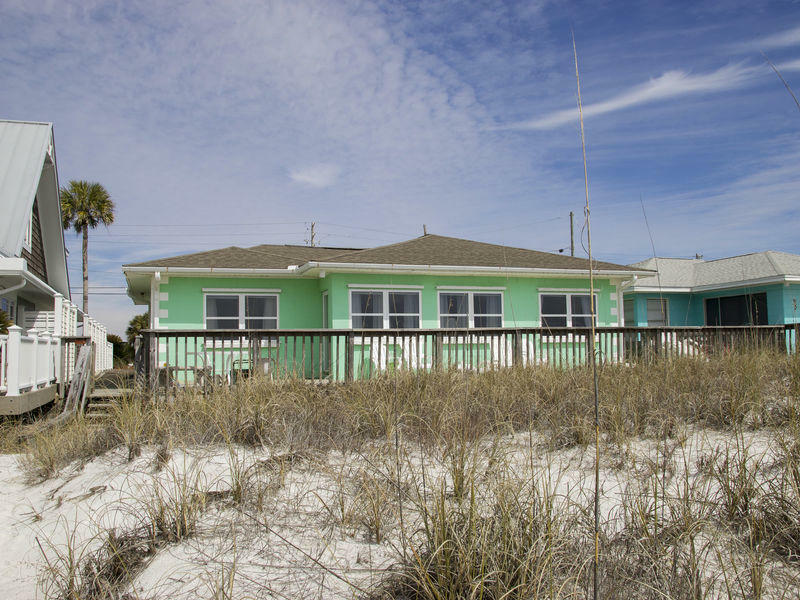 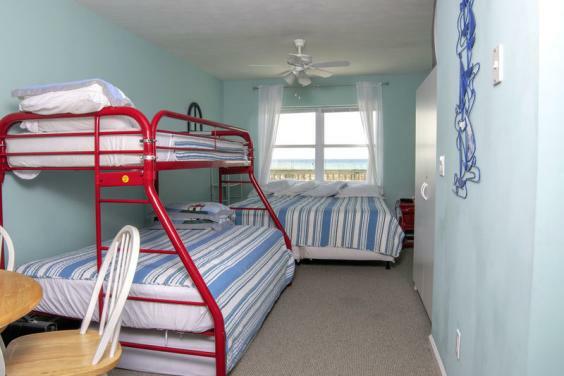 A Perfect View is a casual, colorful, beachfront home in the sought after Pier Park Area. 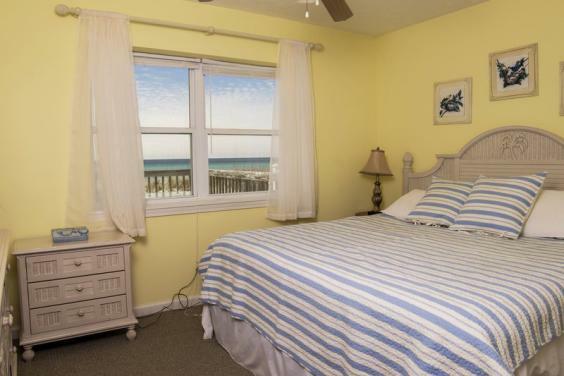 With four bedrooms and 3 baths, this comfortable home is just the place for your family to enjoy the beaches and the convenience of restaurants, shopping, and entertainment that is within walking distance. 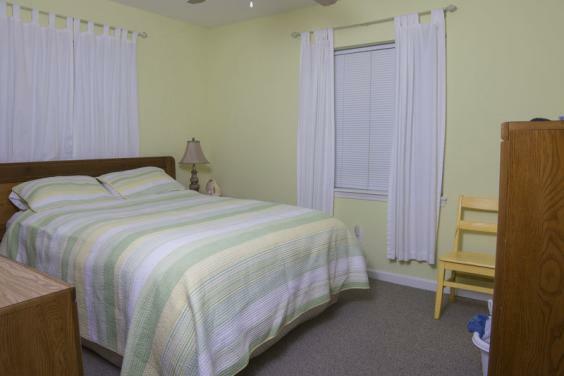 The living area and bedrooms are nicely decorated and the third bedroom is an efficiency with it’s own kitchenette. 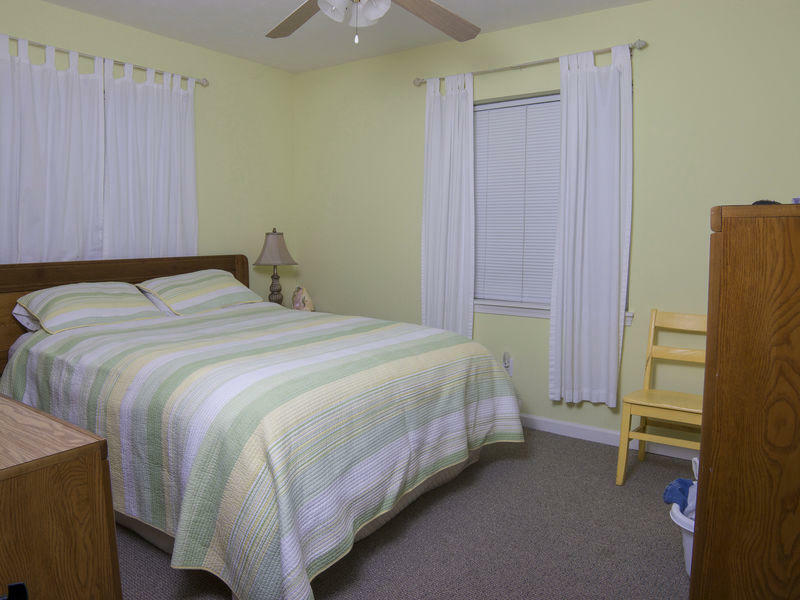 The fourth bedroom is located off the carport. 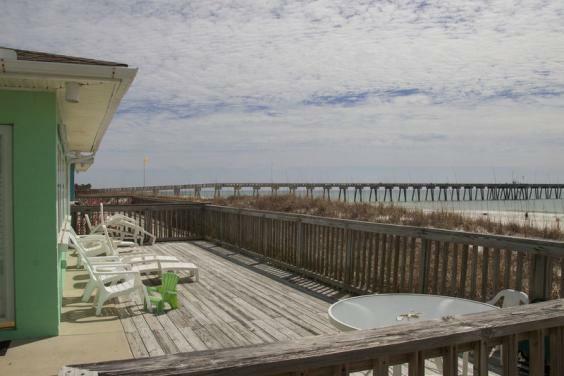 There is a large deck for the sun seeker with just a few steps to the beach. 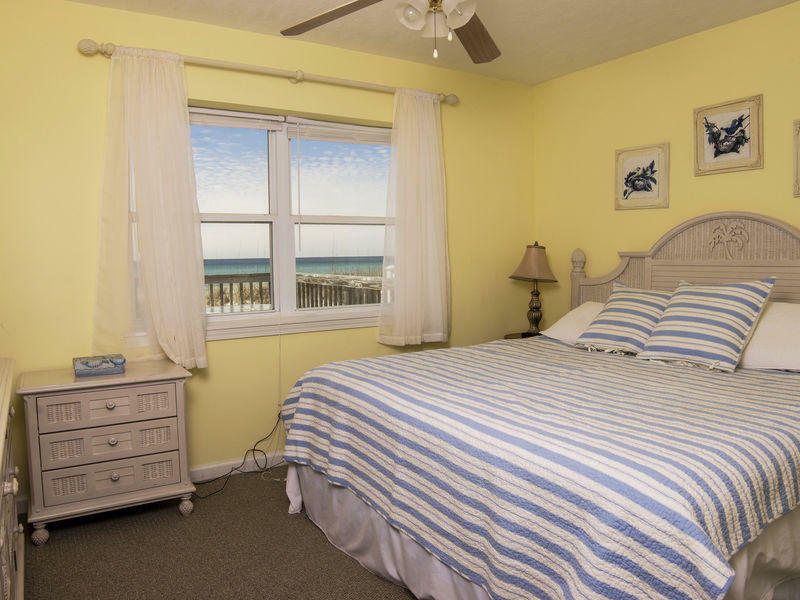 A Perfect View is a great destination for the perfect family vacation. 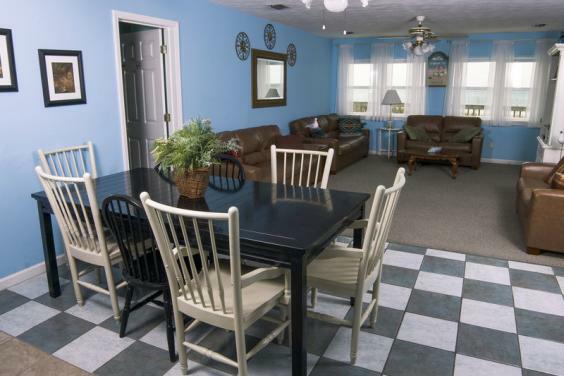 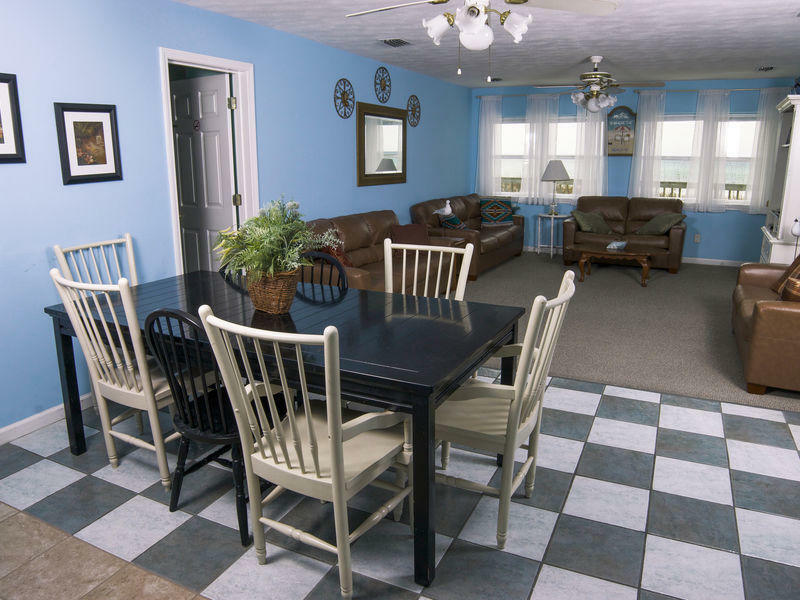 Includes two cable TV’s with VCR and DVD players, washer and dryer, and double carport.